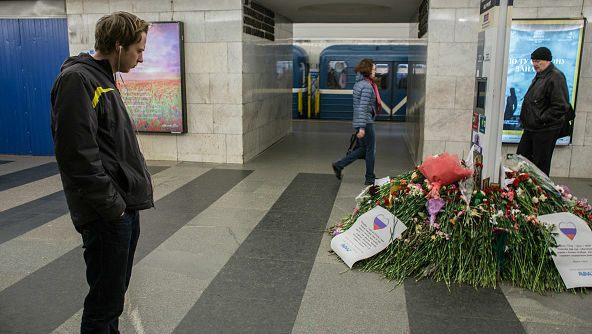 Saint Petersburg, April 2: Eleven people accused of helping organise a 2017 attack on the Saint Petersburg metro that left 15 dead went on trial Tuesday in a military court in the northwestern Russian city. A bomb went off on a train in the metro injuring almost 70 more people. Alleged perpetrator Akbarjon Djalilov, a 22-year-old from the Central Asian country of Kyrgyzstan, also died in the blast two years ago this month. Ten of the defendants are alleged to have acted as the bomber's accomplices, including by providing him with explosives and false documents. One more man, Abror Azimov, is accused of being "one of the organisers" of the attack. Investigators say that Azimov and his brother Akram, also on trial, were in contact with a Turkey-based terrorist group that financed the bombing. Sitting in the court's glass cage for defendants, the group was able to exchange a few words with the media before the start of the trial. "I am innocent," said Shokhista Karimova, a 47-year-old fruit seller from Uzbekistan who is the only woman suspect. She was detained several weeks after the attack. She maintains that the grenade and explosives found in her home were planted there by the Russian FSB security service. All the suspects were arrested in different Russian cities and placed in detention in Moscow before being transferred to Saint Petersburg for the trial. The bombing was claimed by a little-known group, the Imam Shamil Battalion, which experts say is linked to al-Qaida.